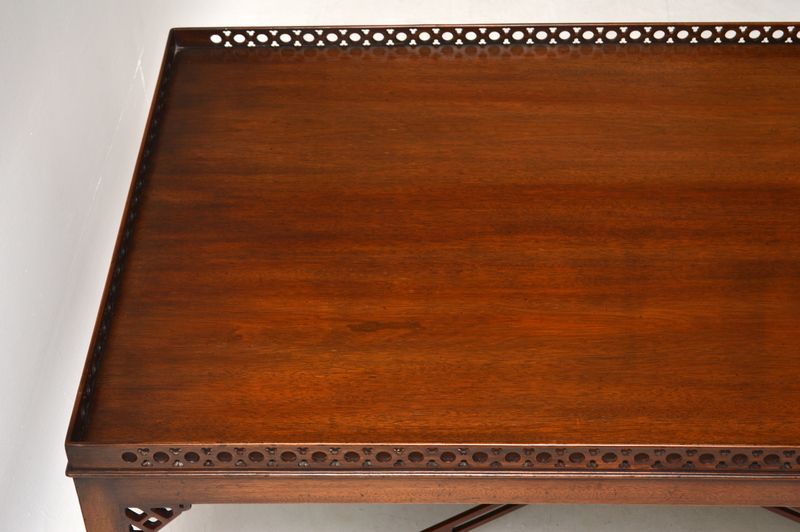 Large Antique Mahogany Coffee Table | Interior Boutiques – Antiques for sale and mid century modern furniture, french furniture, antique lighting, retro furniture and danish furniture. 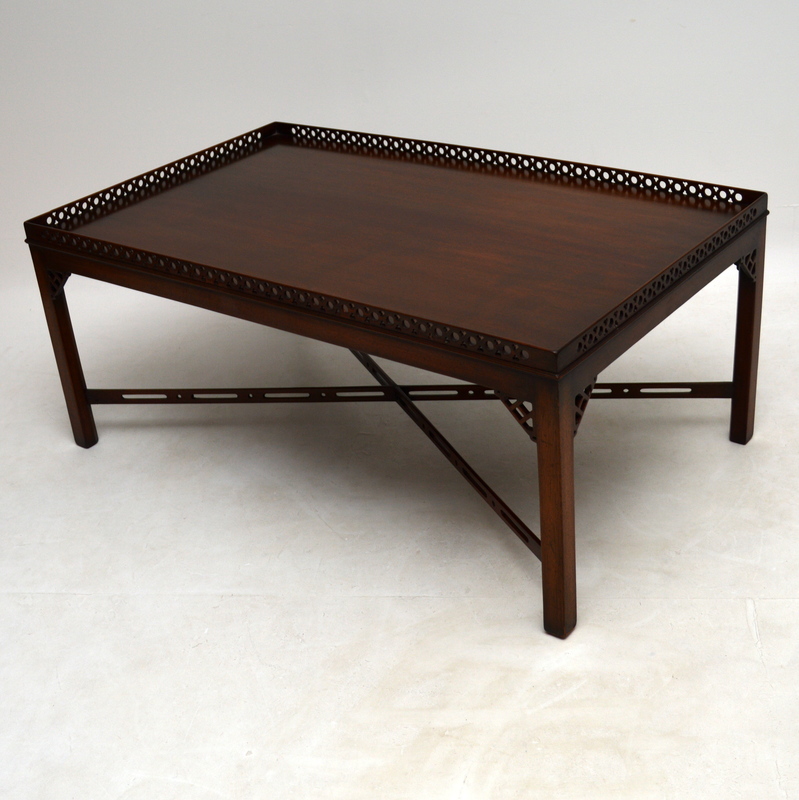 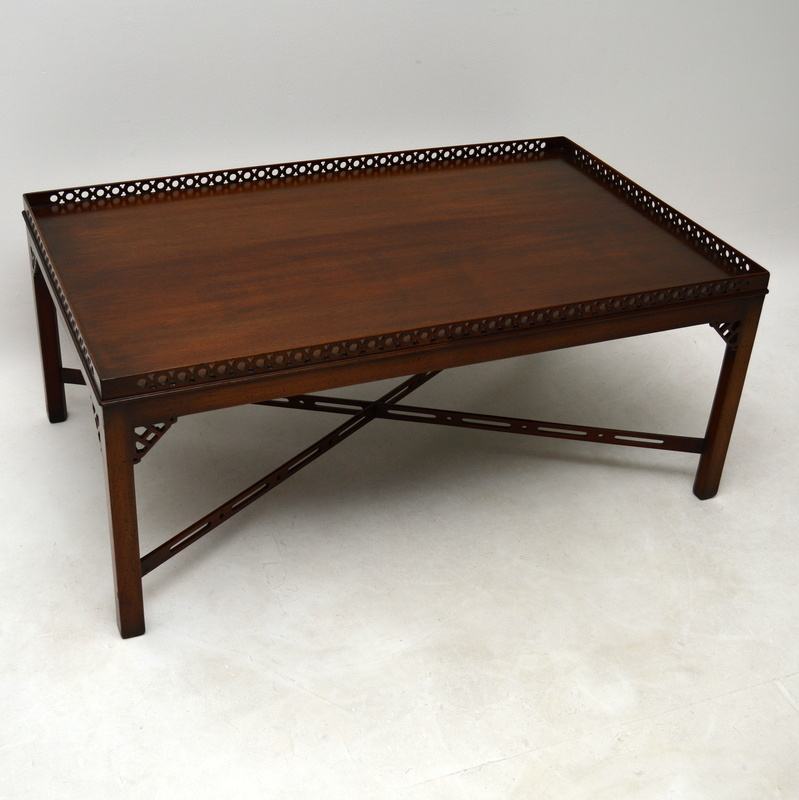 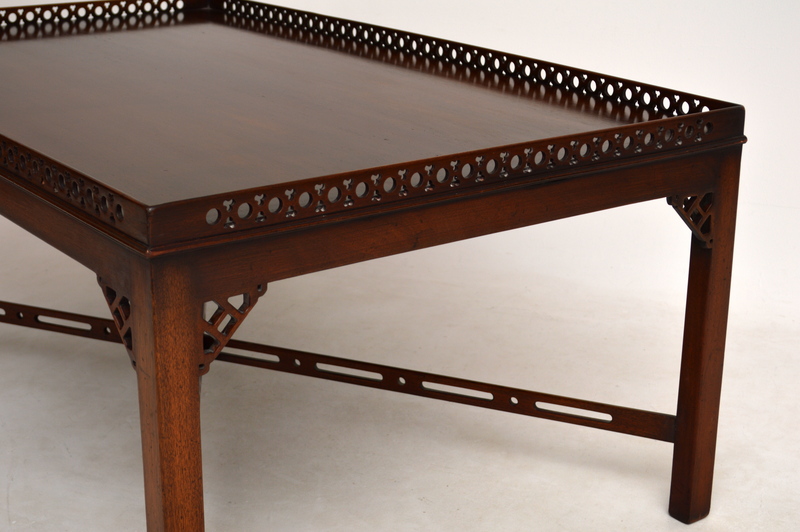 Large antique Chinese Chippendale style mahogany coffee table with a pierced open fretwork top gallery. 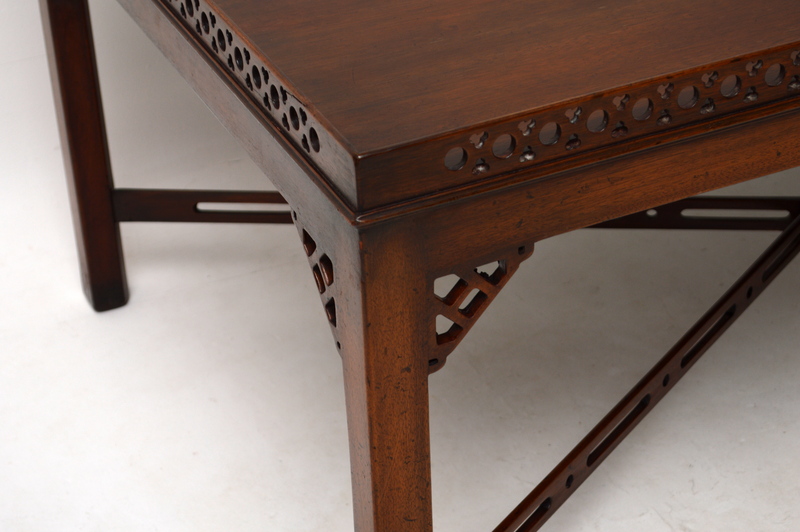 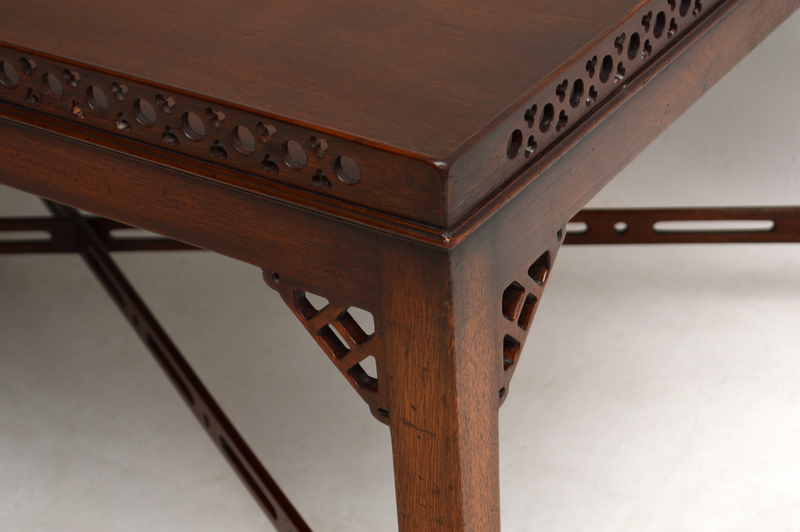 The corner bracket are also composed of pierced fretwork & the cross stretchers between the legs also have open fretwork. 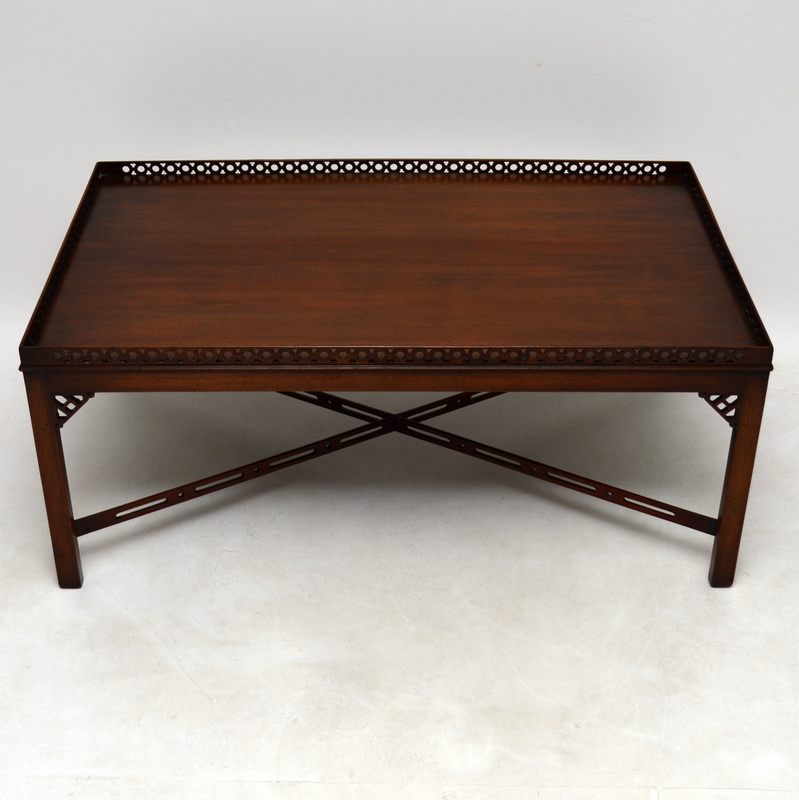 This coffee table is in excellent condition & I would date it to around the 1950’s period. 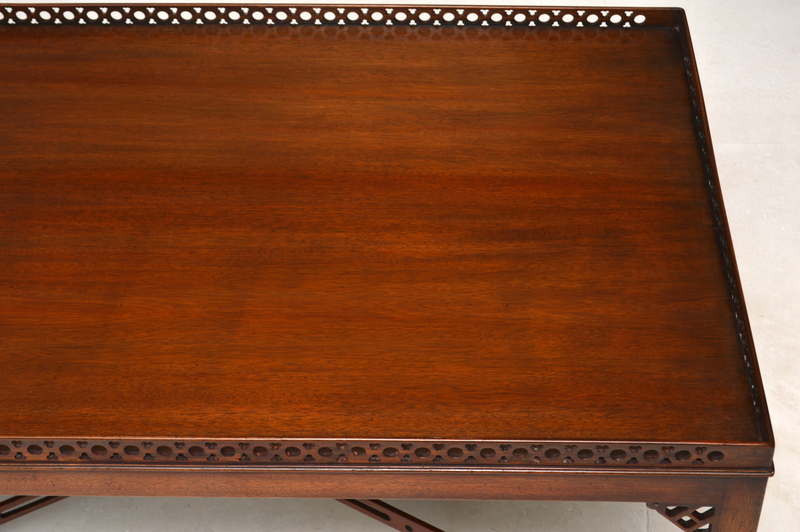 They are getting quite hard to find as large as this.